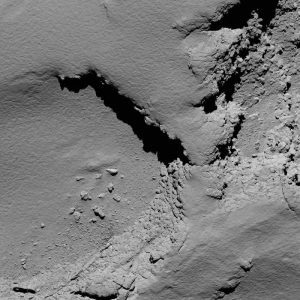 The Rosetta spacecraft ended its historic, 12-year cruise through the cosmos on Friday by crash-landing onto the comet that it had circled for the last two years. The intentional landing occurred at 1:19 pm CEST (7:19 am EDT), concluding what had been a legendary, if not sometimes bumpy, mission for the European Space Agency. The $1.8 billion spacecraft launched in 2004, taking a circuitous route through space to reach Comet 67P/Churyumov-Gerasimenk. The journey required skipping near the Earth thrice and Mars once to use their collective gravity as a slingshot toward the final destination. 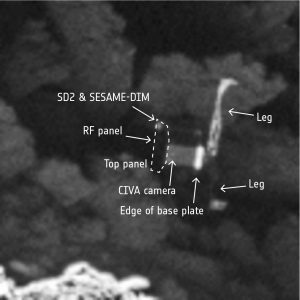 Rosetta wasn’t the first Earth robot to visit a comet, but it broke ground by orbiting one. The spacecraft housed 11 scientific instruments to examine the chemistry and physical makeup of the comet. The Rosetta orbiter also carried Philae, a lander probe that was intended to take and analyze samples from the comet’s surface. Both reached the icy comet in August 2014. 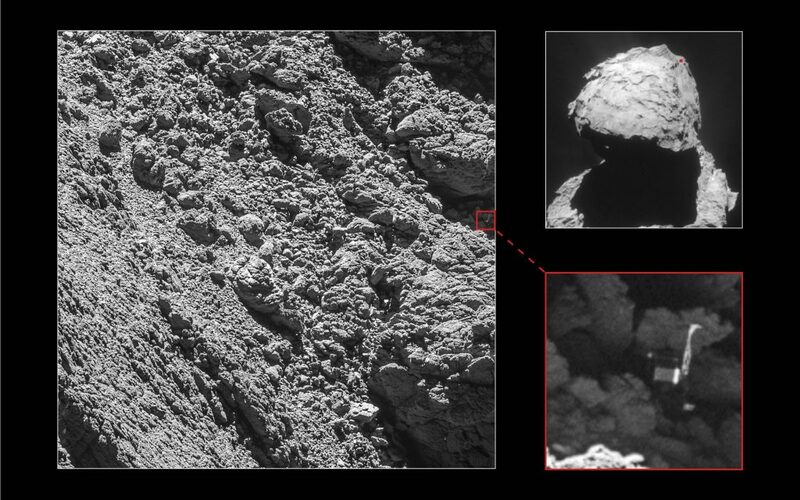 Though the mission’s scientists view Rosetta as a success, the Philae lander had its share of struggles. 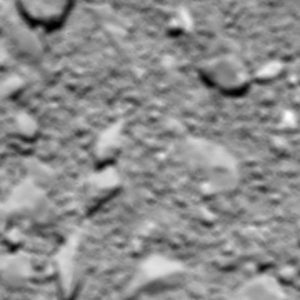 When the lander touched down November 12, 2014, its anchors failed to fire. 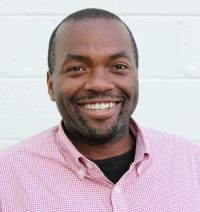 The probe bounced and bounced for close to a kilometer (0.6 miles) before nestling underneath a cliff — a site known as Abydos. The rock’s shadow and Philae’s final orientation doomed the excursion, as adequate sunlight failed to reach the probe’s solar panels. As Rosetta made the gradual descent toward the comet, it spotted Philae on Sept 2., lifeless and awkwardly tilted on its side. Rosetta’s final resting place is located on the opposite side of Comet 67P/Churyumov-Gerasimenk’s small lobe from where Philae sits. 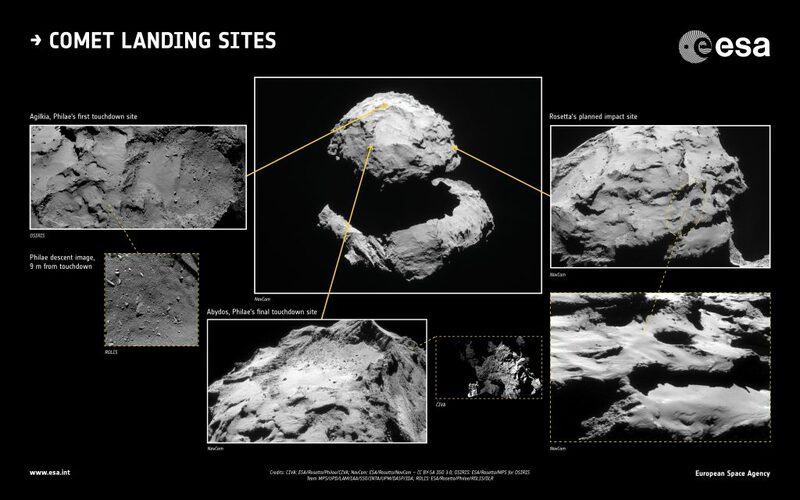 Over the last two years, Rosetta expanded our knowledge of comets. It detected nitrogen-rich and carbon-rich compounds inside the comet’s spew of dust and gas, and on Earth, these chemicals form the basic building blocks of life. Mission scientists learned water on the ancient space rock differs substantially from water on our planet, suggesting that one of the most essential ingredients for life on Earth did not originate on comets. 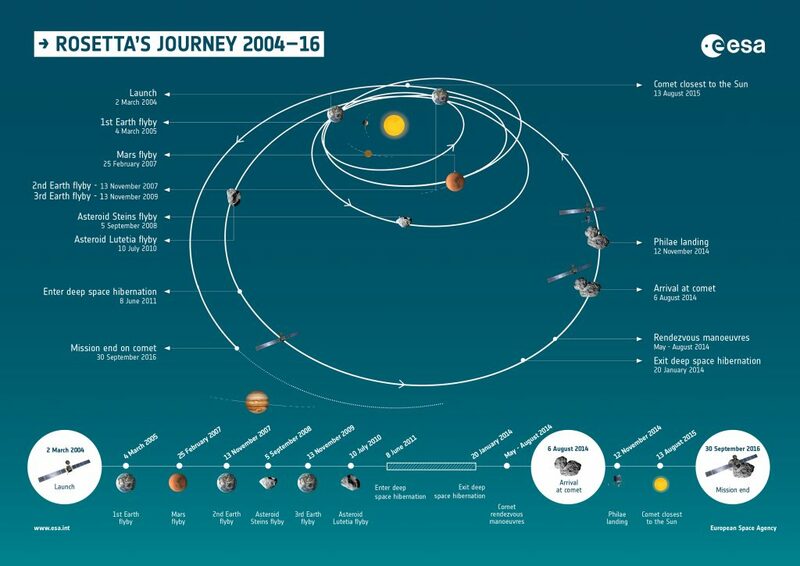 (A complete history of Rosetta’s scientific mission is here). The European Space Agency opted to land Rosetta on the comet because the pair are heading out toward Jupiter, where the probe’s access to vital sunlight is diminished. The team mulled the idea of putting Rosetta into a sustained hibernation and waiting for the two to circle back toward the sun, but the plan was deemed unlikely to succeed. That’s because Rosetta has been battered by deep-space radiation and by the comet’s dust.